Kaitlyn + Stephen hold the honor of our first wedding of 2017 and oh my was it a beauty. We met Kaitlyn one year prior and she was super excited for us to document her and Stephen's day. 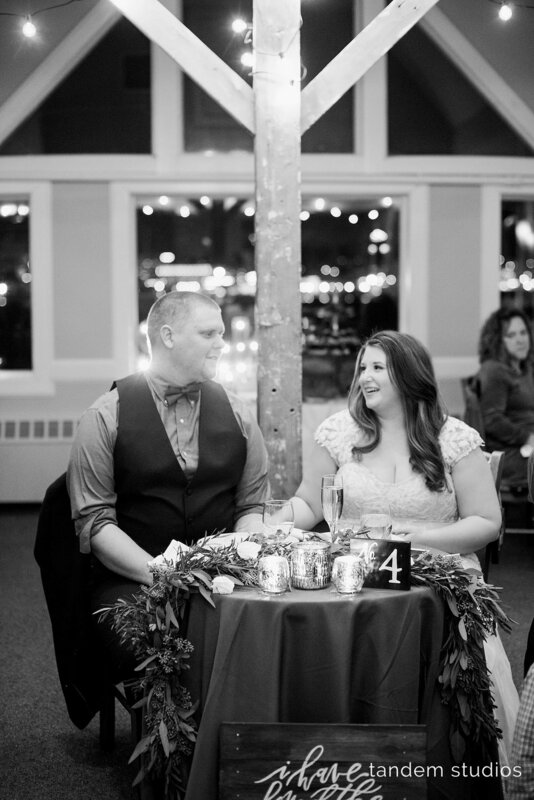 When she told us the details of the day and the fact that they were getting married at Portland City Hall, we were pretty much giddy with excitement for the next year. The couple, along with their wedding party and a few family members, prepared for the wedding at an Airbnb in the Oakdale neighborhood in Portland. It was a super low key morning and you really couldn't ask for a more supportive and relaxed group of friends for the bride and groom to surround themselves with prior to saying their vows. Kaitlyn is incredibly talented and did the calligraphy for all of their invitation envelopes, not to mention she had thought about and executed every single important detail for the day. 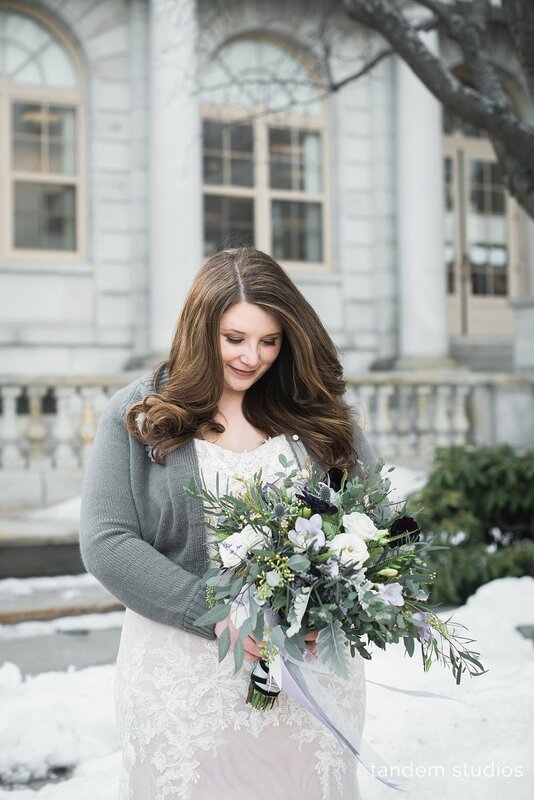 The two hand wrote their vows and her bouquet was perfect for the natural tones of January in Maine. The ceremony was short and sweet followed by photos in and around the beautiful setting of City Hall. After, we all headed over to South Portland for the reception at the Saltwater Grille overlooking the Portland skyline. 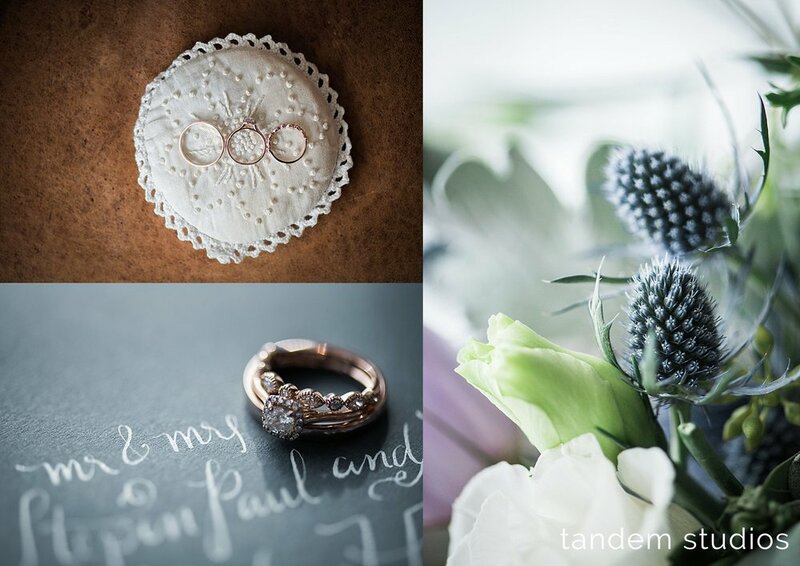 The intimacy and thoughtfulness that Kaitlyn and Stephen invested into their wedding day was apparent in every single detail from beginning to end. We wish these two only the very best!